Petition posted by the staff of Israeli site Atzuma garners 10,000 votes for Daniel Shechtman to run for President. 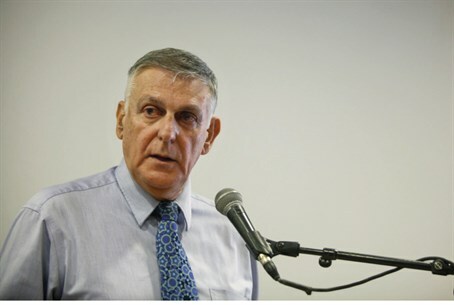 Rise of the unlikely candidate: Maariv reports Tuesday that 10,000 people have already signed a petition nominating Nobel Laureate Daniel Shechtman for the next presidential elections. The explanatory note to the petition, which was posted on Atzuma (the Israeli equivalent of change.org) by the site's owners, states that the move was a necessary one for the nomination, which also requires the backing of at least 10 Knesset members. The petition was posted within an hour of Shechtman's announcement of his campaign on Channel 1 Friday night, and within 5 days has surpassed its 10,000-person goal mark. The initiative received a bigger boost after Shechtman's interview Sunday with Channel 10, according to Maariv. During the interview, Shechtman reflected, "I do a lot for the State of Israel and its citizens in the Diaspora [. . .] I think that the position of President would give me far more influence than I have now." He stated that he would not be joining a political party for now, citing the need to be "a man of the people" rather than subscribe to a particular agenda. The Laureate also stressed that his first priority would be improving Israel's education system. Shechtman was awarded the Nobel Prize for Chemistry in 2011 for his discovery of quasicrystals, or the fact that atoms in a crystal are capable of being formed in a way that does not involve a repetitive pattern. While he does not have a political background, he explained during his announcement his belief that his problem-solving skills might better the State of Israel. Presidential elections are due for next summer, and anticipation has already begun to rise in the minds of the Israeli public. A recent poll found that most Israelis favor the possibility that that the 90-year-old Peres will remain in his position for a second term. This followed reports that Peres would seek another seven-year term as President, requiring a legislative change. Peres has rejected the reports, declaring in an interview that he will end his term as scheduled next summer. Other names which have already been mentioned as potential presidential candidates are Minister Silvan Shalom (Likud), MK Reuven Rivlin (Likud) and MK Binyamin Ben-Eliezer (Labor). The recent poll indicated that should Peres not seek a second term, Rivlin was the most favored candidate among the Israeli public.